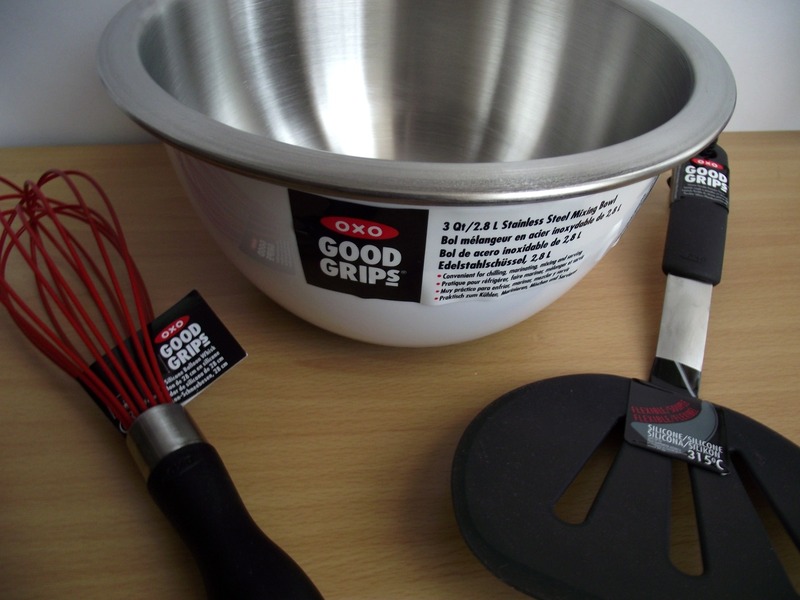 A few weeks ago I was asked to review a pancake set from OXOGood Grips. Sadly, I missed Pancake Day, but then I thought – I love pancakes at anytime! And Scottish pancakes especially. The pancake set comprised a 2.8 litre stainless steel mixing bowl, a silicone flexible pancake turner and an 11” silicone balloon whisk. I set about making my pancake batter, taken from Nigella.com. The batter bowl looked quite small to me, but it is very deceptive. It holds a huge amount and it’s best feature, I think, is the non-slip bottom. 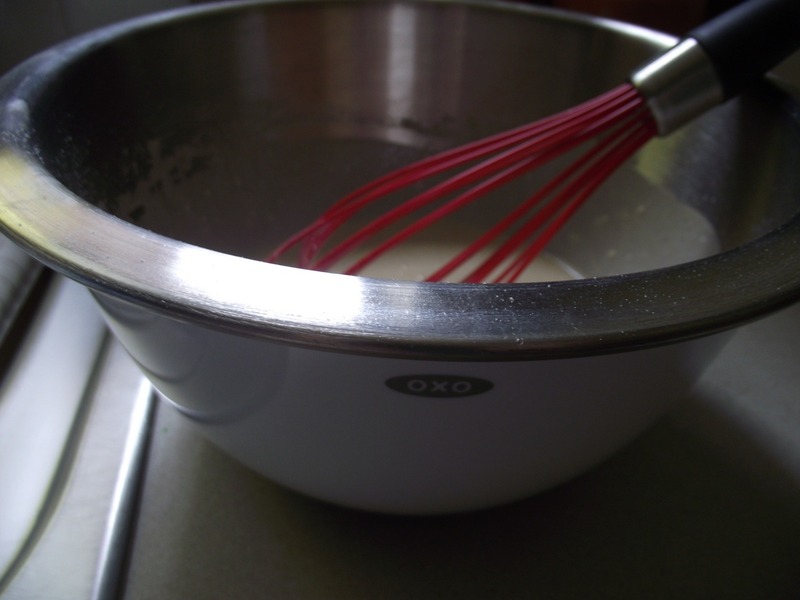 When giving the batter a good whisk, the bowl stayed nice and steady on the worktop. The whisk itself was comfortable to hold and very flexible. Because it is heat resistant silicone, it would also be perfect for making sauces in non-stick pans, without fear of scratching. When I was cooking the pancakes, the pancake turner was excellent. I already had a pancake flipper in my drawer, but that was all frayed and melted on the edge. 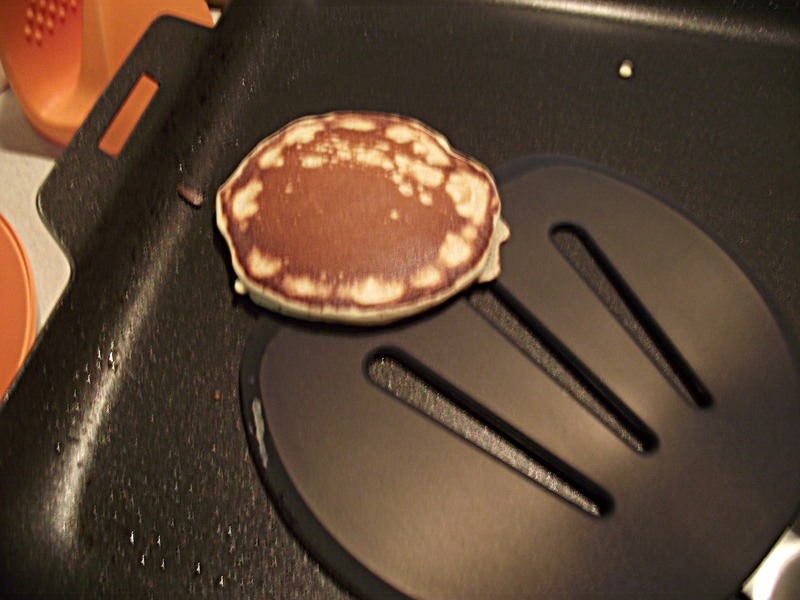 The OXO Good Grips pancake turner is heat resistant up to 315oC and was perfect on my hot griddle pan, no fear of melting. And the edge of the turner was very thin, so slid easily under the pancakes and made flipping them a cinch! All the items made this batch of pancakes a doddle to make. Scottish pancakes are more like American ones, in that they are thicker than the namby-pamby crepe type. 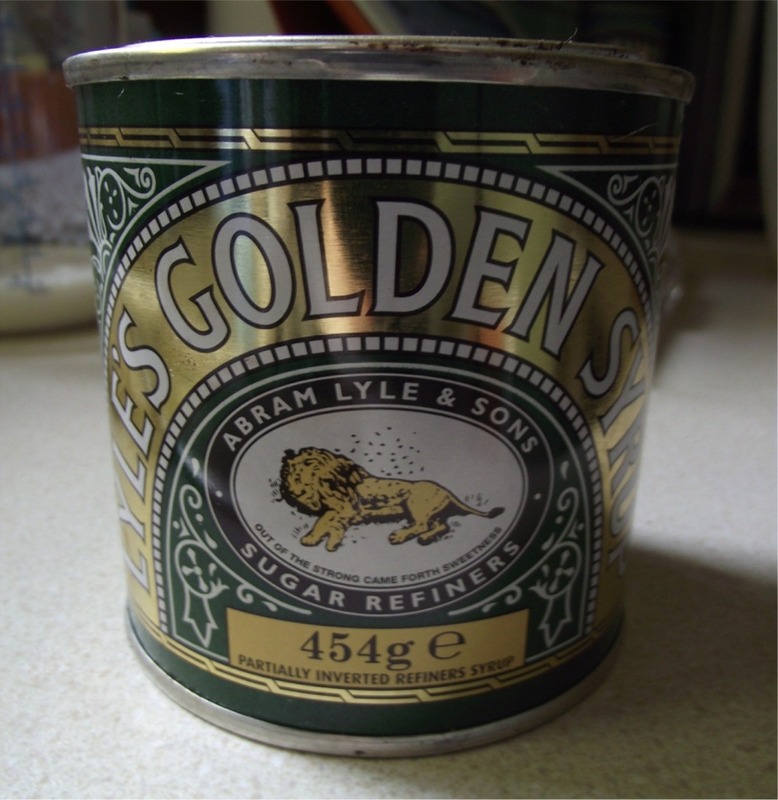 They have a lovely flavour as their ‘secret’ ingredient is a dollop of golden syrup. And even better is the fact that, if you have any left over, they toast up lovely the next day. In a small jug add the vinegar to the milk and let sit for a few minutes. In a bowl whisk together the egg, oil and syrup. Add the vinegar milk mix and whisk again. Lastly add the flour and bicarb. Whisk this until smooth and then prepare your pan, heating to medium high and coating with a dash of veg oil. Place 1 ½ tablespoons of the batter onto the pan and when bubbles appear on top, flip over, cooking on the other side for 30 seconds to a minute. Place the pancakes in foil to keep warm until they are ready to eat. 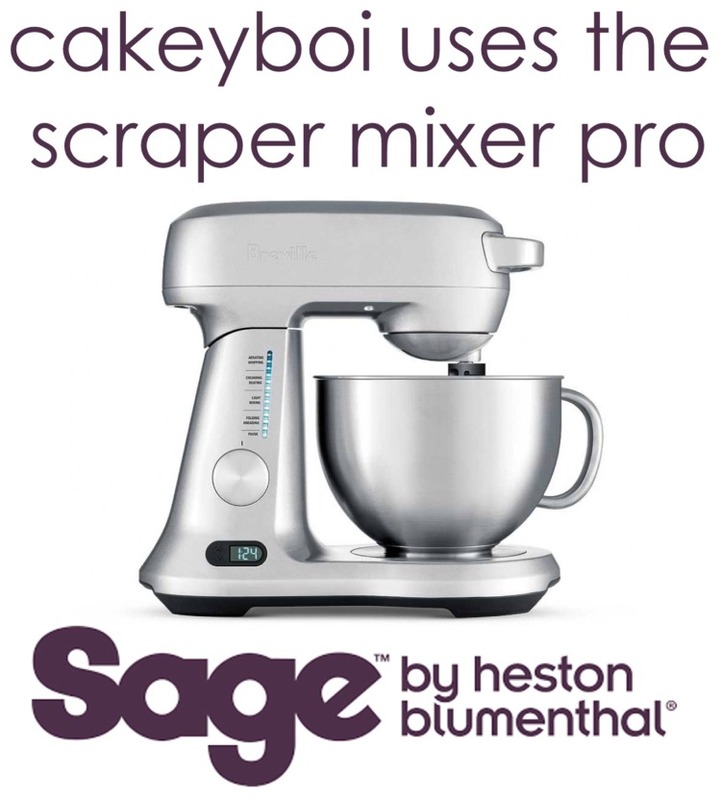 I served mine with salted butter and maple syrup – delish! And if you have any left over (as if?!) remember they toast up perfect, getting a nice wee crust on them. Enjoy!! Disclaimer - I was sent the pancake set free to review and was not committed to writing a favourable review. The views expressed are my own. 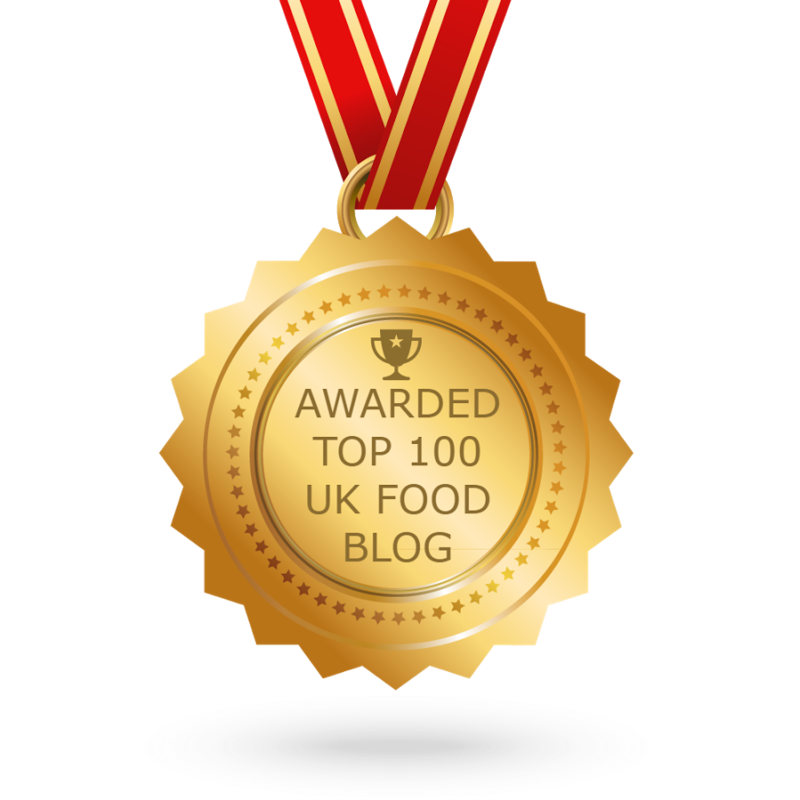 Yay, another OXO blogger! I agree that our Scotch pancakes are so much better than thin crepes, although they have their place. I made pancakes as a child with my gran! Oh darn...I thought the secret ingredient was going to be a splash of scotch...lol! These look and sound soooo good! I love fluffy pancakes! 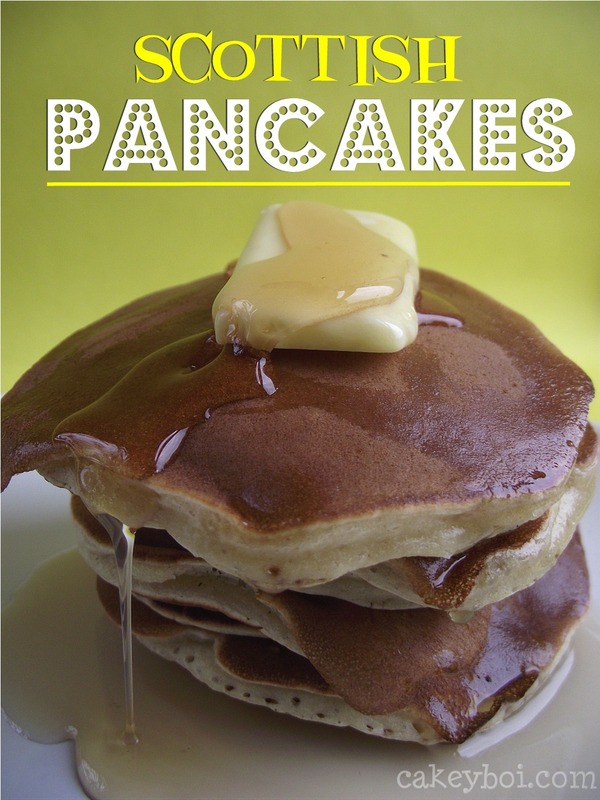 Great looking pancakes and I'm loving that flipper - it looks extra wide (unless your pancakes are extra small!). Nice review. Yes, I should've said! The flipper is really big, so perfect for huge pancakes. Mines were sort of medium sized! !